Welcome to Ruin Mist - The Fantasy World of Robert Stanek. 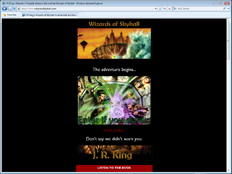 Ruin Mist is the fantasy world of Robert Stanek and this is the official site. Ruin Mist has three realms of existence and its where you'll encounter dragons, elves, wolm, goblins and more. 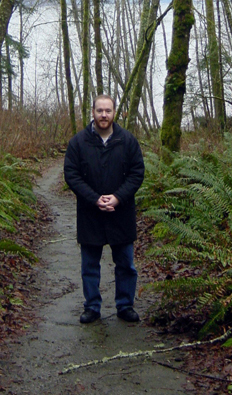 Robert Stanek has been writing stories for over 30 years. Though he’s always been a writer at heart, he never set out to be a writer. What he wanted to be, he didn’t know when he said goodbye to high school. What he wanted to do though, he knew that: he wanted to see the world—and so he did while serving my country in distant lands. Robert Stanek wrote novels for more than ten years before he ever tried to get published. His big break came with a book about publishing—only a different sort of publishing than you may be thinking. The book was about web publishing and so his career in writing began. While he wrote those other books, he wrote many, many stories and books, and he collected them for a long time, until at his children’s urging he set out to get them published for others to enjoy. Buster, Lass, Cat, Barry, Dag and the other critters have always been his kids’ favorites. His son dressed up as Buster Bee for Halloween many times and would wear the costume to school for character day too. Fun for Robert, as the critters and their stories developed from his experiences with his kids and the world around them as they grew up. Parents and kids seem to really connect with the the stories and their lessons because of the characters too. Robert developed a love for the classics as a child—classics like Treasure Island, The Swiss Family Robinson, Kidnapped, Robinson Crusoe, and The Three Musketeers. He spent so many hours reading Jules Verne, Sir Arthur Conan Doyle, Edgar Rice Burroughs, Ray Bradbury, Herman Melville, Jack London, and Charles Dickens. He also loves the works of W. B. Yeats, J. R. R. Tolkien, Anne McCaffrey, Poe, H. G. Wells, L. M. Montgomery, and Frank Herbert. 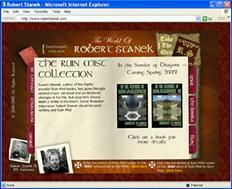 Learn more about Robert Stanek and his books. Enter... and Explore -- Learn about the fantasy world of Ruin Mist. Ruin Mist Q & A -- A Ruin Mist FAQ. Learn about the characters and creatures of Ruin Mist. People of Ruin Mist -- A quick reference for important characters in the Ruin Mist books. The Kingdoms -- A brief guide to The Kingdoms and the Elves of the Reaches books by Robert Stanek. 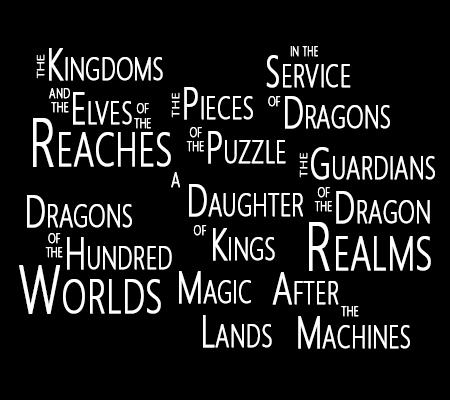 The Reaches -- A brief guide to the In the Service of Dragons books by Robert Stanek. Under Earth -- A brief guide to other books Robert Stanek has written about Ruin Mist. Forums -- The Robert Stanek forums on Proboards. Blog -- Robert Stanek's blog and archive of the Robert Stanek chats with fans. Background -- Learn about Robert Stanek's life and writing career. Book List -- A complete list of books written by Robert Stanek. Find Robert Stanek on Facebook, on Twitter and on LinkedIn. Looking for other Robert Stanek sites? 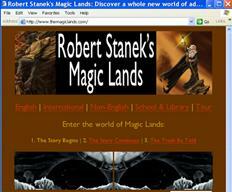 Visit Robert Stanek.com and Magic Lands.com. You may also be interested in the official Reagent Press web site and the official Web site of J R King. 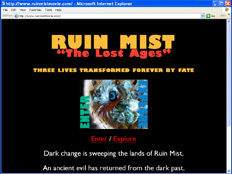 Don't forget to visit Ruin Mist: The Lost Ages.